On the last weekend of September we gathered at Biohof Deml to spend two days with herding as if it was a trial. 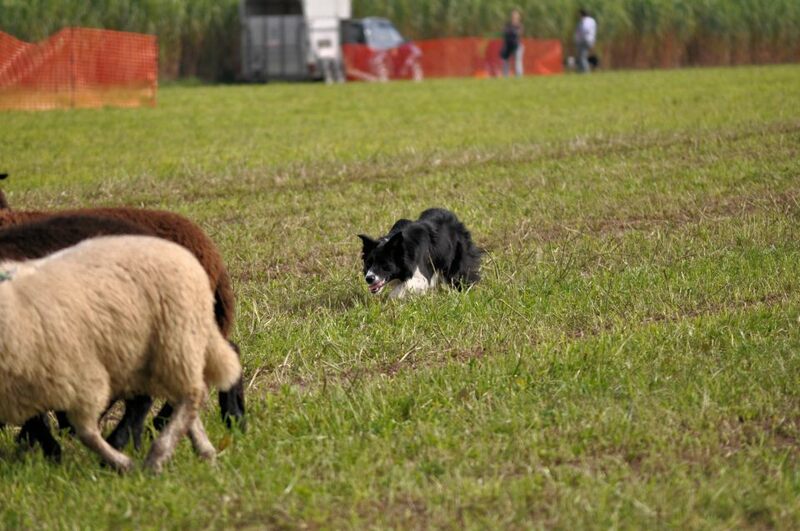 It was a great opportunity to get a little experience what is it like to compete in a sheepdog trial. We got a beautiful field to run, and fresh new sheep for the dogs to work with. Weather was also on our side on both days, with around 15 degrees and dry weather condition. So all the circumstances helped us to work well and make good runs. Jet and me were starters in three classes: we made trial-class1, sheepdog instinct-test, and beginner parcour too. We worked nicely on all the three parcours, but I am the most proud of Jet’s work on the trial kl. 1 course. After the beginner level and instinct test parcour, this is the first competition level. Here the dog must work independently in a long distance from the handler. After a 70-80 m outrun the dog has to find the flock and bring it in to the handler. 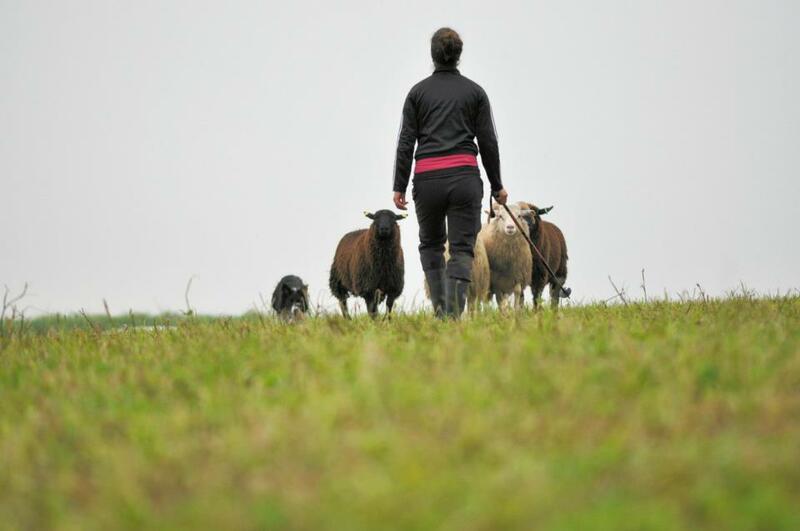 The next task is the drive– after a turn – it is to herd the flock in front of the handler at a given direction through gates. 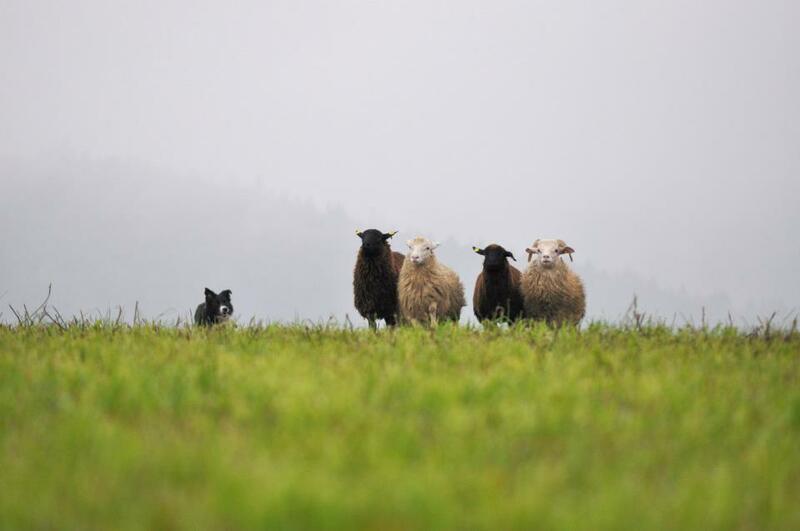 This is difficult for a sheepdog as she would herd the flock to the handler instinctively, not away from her. At the end of the parcour there is stabilisation and penning – the flock has to be stopped at a certain point , it has to be herd into a pen. The parcour is finished when the pen door is closed. To tell the truth, I was quite nervous about the trial kl.1 course, as we have not practiced it at all during the summer. We practiced some component from it but I knew we were far from being good at it and especially Jet was far from being able to work in the distances that kl.1 requires. This is what I believed before the trial , but then it turned up that I was completely wrong. Somehow suddenly Jet understood how outrun should look like, literally in no time she made a huge progress and started to make super wonderful huge circles to get behind the sheep. The other thing was the drive what made me nervous the most. This was the excercise we started to practice the latest so I knew it was not going to be the strongest point of our performance. And it was not indeed, but I was still happy how it went. With so little practice Jet made a few nice driving section at the parcour, herding the flock in front of me. All in all we had a great weekend putting a nice point at the end of this summer. 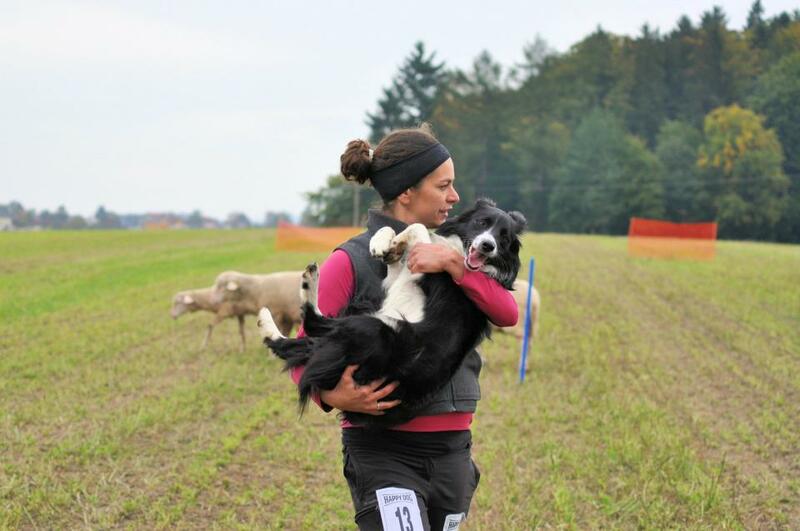 Considering that we started sheepdog training in the middle of june (from ZERO) , I have to be very proud of my little Jet to make such a big imporvement that we could do the trial klass 1. parcour. It is a huge achievement from a 11 months old little dog, and again, it is very promising for the future.